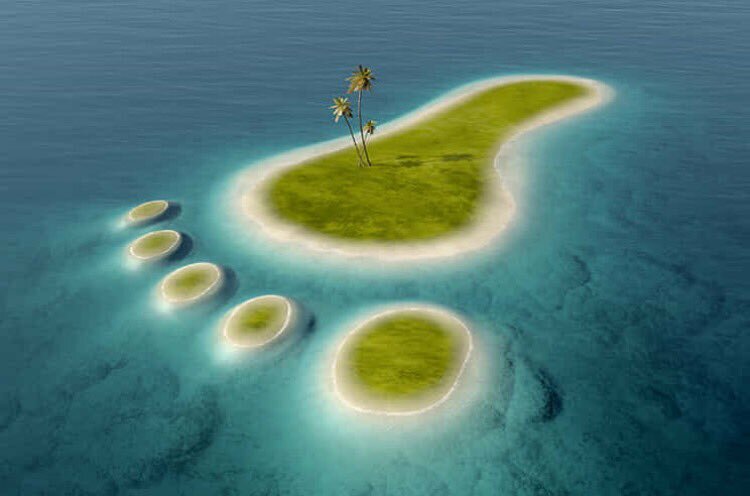 Claim: this is a photograph of footprint shaped island. Claim is false. This island doesn’t exist. The picture is a digital stock image created by Johan Swanepoel.